Homepage. 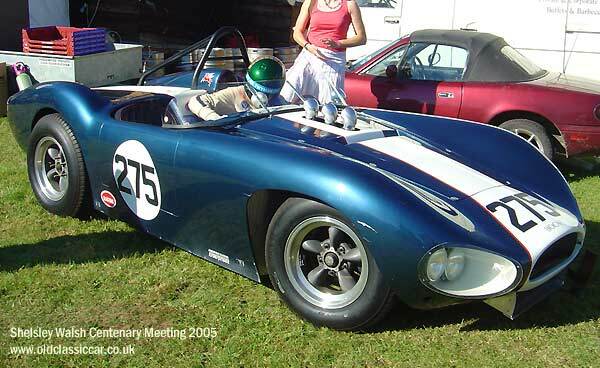 This page: Photo showing a preserved Bocar at Shelsley. Bocar Books Whether for the 7 litre as shown below, or any other type of Bocar, it is worth having a look on Amazon for books, DVDs, Videos etc. Have you seen today's eBay auction listings for the Bocar 7 litre? The thundering 7.0 litre Bocar could rattle windows upto 1/2 mile away I reckon. Entered by Dean Butler. I'm the first to admit that my knowledge on such vehicles often leaves a lot to be desired, so if you have some interesting facts that could be added in with this Bocar photograph, or have specific stories relating to this 7 litre then please contact me via the oldclassiccar Contact page.